Welcome to the show! Today we have Alyce Lopez with us. She is one of LuAnn’s real-life friends, and also the principal of The True House in Tula Vista, California. Although Alyce is still a ‘baby designer’, she’s a really smart lady! She knows that being an interior designer is her business and not a hobby. She is also very clear on what she does and how she does it. On the show today Alyce talks to us about the way she runs her business and how she’s built it up to profiting six-figures in under three years. There is so much you can learn from Alyce on today’s show! Listen in to find out more! 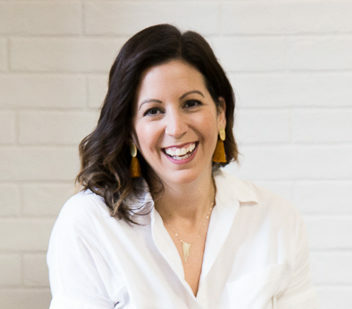 Alyce Lopez owns and operates The True House, a full-service interior design firm that specializes in residential design for busy, young families. She began her career in interior design after purchasing a fixer-upper with her husband. The two navigated through renovations on a 1950’s rambler maximizing their creativity and pocket change. The True House came about organically after documenting their home renovations on social media. Alyce grew up in southern California in Aliso Viejo, CA. Growing up near some of the most beautiful beaches, she was always inspired by natural textures and elements. Alyce graduated with a degree in education. In 2006, she married her husband who teaches kindergarten locally in Chula Vista. Today, Alyce is mother to two young children (ages 5 & 7) and her pug, Mochi. TTH focuses on bringing a transitional aesthetic to the common builder grade home in south San Diego. Alyce prides herself in making each home more functional and livable for young families while respecting her clients’ budgets. She believes your home should be a reflection of your personal style and provide customized features that make life more enjoyable. The True House recognizes that your home is your largest financial investment and it should be treated with the proper care and attention. The True House is the top reviewed interior designer in south San Diego. Alyce has been featured as a style spotter for industry shows and is a brand ambassador for Revolution Performance fabrics. You can find her work published by SD Voyager and Furniture Today. Listen in to find out what Alyce has to share about her interior design business. Some of the things Alyce has established as important parameters in her business. Establishing a really good relationship with a limited number of selected vendors. Tula Vista has organically become Alyce’s niche area. Alyce’s family-based approach to running her business. The importance of having a good work/life balance. Some tips for having a debt-free life and business. The type of design that Alyce focuses on and the services she provides. The benefits of offering clients blocks of time. The kind of value that Alyce provides for her clients. Alyce uses Acuity Scheduling to keep things organized. Where Alyce sources her furniture and accessories. Providing limited options when too many options could be confusing. How Alyce shares her trade-show experiences with her clients. The step-by-step process that Alyce uses with her clients. The way that Alyce structures her charges. The importance of planning ahead for your business.